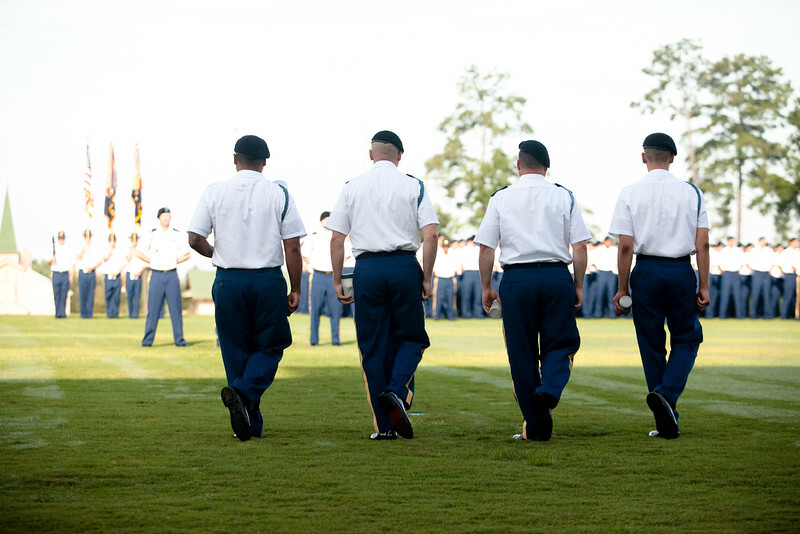 (FORT BENNING, Ga) Maj. Gen. Scott Miller, soldiers and civilians attend the Senator Daniel K. Inouye Field Dedication Ceremony September 12, 2014 at The National Infantry Museum. Sand from San Terenzo was spread across the parade field by Pvt. Derrick Tamanaha, Sgt. 1st Class Zachary Zuehlsdorf, Lt. Col. Daniel Austin and Pvt. Peter Heaukulani.